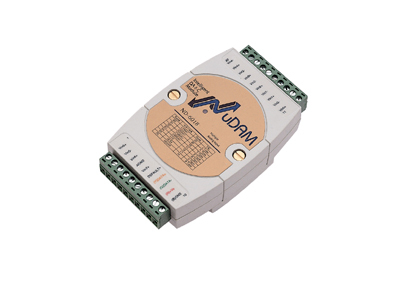 ADLINK's NuDAM data acquisition modules make up a total acquisition network and control system. Up to 256 NuDAM modules an be romotely controlled on any RS-485 network from a host computer, via a single serial RS-232, allowing communication from as far as 4000 feet from the host. Based on the RS-485 multi-drop network system, each module has a unique address ID, whereby simple ASCII command & response protocols through the standard RS-485 interface can control all the NuDAM modules in the RS-485 network. The NuDAM modules provide direct communications with a wide variety of sensors, perform all signal conditioning, scaling, linearization and conversion, and can acquire measurements of temperature, pressure, flow, voltage, current, and multiple digital signal types. Copyright © 2018 ADLINK Technology Limited. Copyright © 2019 ADLINK Technology Inc. All Rights Reserved.